Previously, we had talked about fascinating historical inventions you thought were modern. Well, this time around we decided to take the ‘warfare’ angle, and showcase how some historical weapon designs were for all-intents-and-purposes hi-tech in nature. So, without further ado, let us take a gander at ten such advanced weapon systems from history that were surely far ahead of their time. 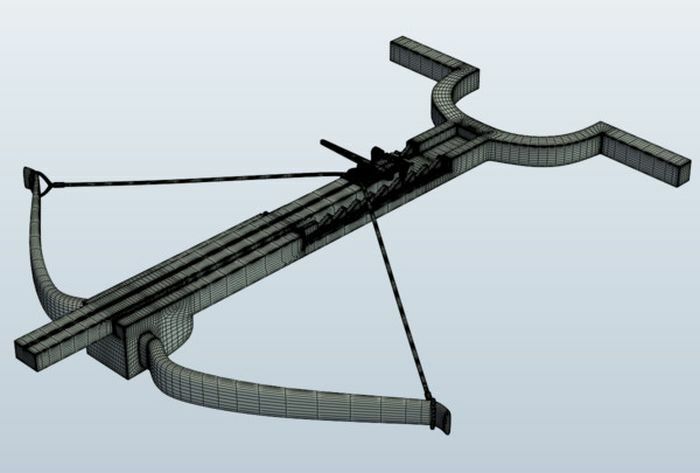 Literally translated to “belly-releaser”, the Gastraphetes was an ancient handheld crossbow-like mechanism described and drawn in a detailed manner in Heron of Alexandria’s compiled Belopoeica. In terms of design, this crossbow weapon was cocked in a unique manner by placing one’s belly along a concave groove at the rear end of the stock (hence its name), and then pressing down with his manageable strength. So, in other words, more potential energy was stored as compared to the single arm of the archer when using a hand-bow. This translated to a greater range (which was generally 50 m or over 160 ft more than conventional bows), along with better accuracy since the crossbowman can could take his time to aim. As for its historical context, the Gastraphetes was possibly invented between the period of 421 BC to 401 BC, by Zopyros – a Pythagorean engineer from Southern Italy. The weapon was perhaps used in a successful manner during the siege of Motya (a Carthaginian island-fortress) in 397 BC. And the technology was perfected even more by the later decades, with Gastraphetes’ possible usage by Alexander’s army during the Siege of Tyre in 332 BC. 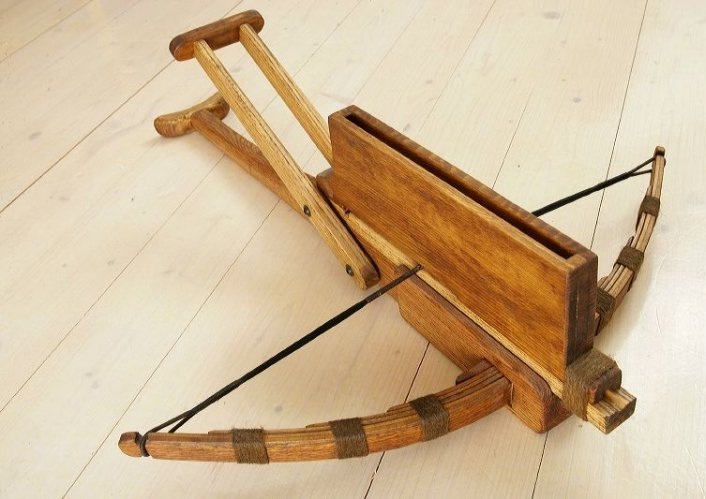 While our earlier mentioned Gastraphetes was a precursor design to crossbows, there was another ancient weapon system that went beyond the limitation of crossbows and their cocking times, to account for a semi-automatic mechanism. 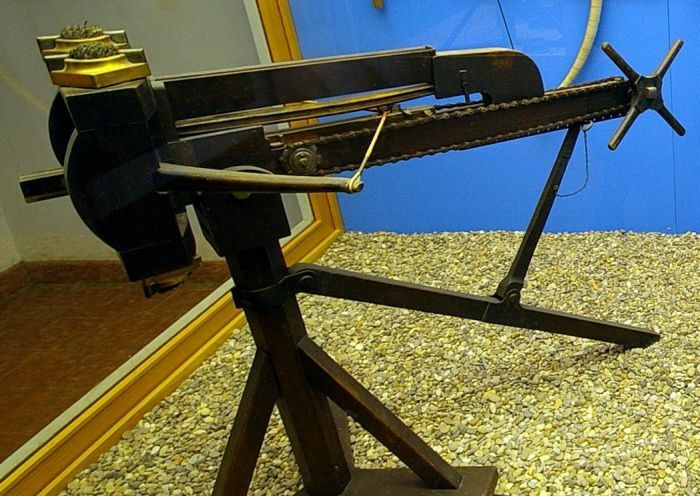 The end result was the Chu-Ko-Nu (or Zhūgě nǔ in Chinese), a repeating crossbow that could fire up to ten steel-tipped bolts in succession, in just 15 seconds! As one can comprehend from the above image, this semi-automatic weapon was operated by holding the stock in the left hand, and then working the rectangular lever (in a forward and backward manner) with the right hand. So, unlike the regular crossbow which was usually supported by the shoulder, the balance for Chu-Ko-Nu was kept by only using the hands. 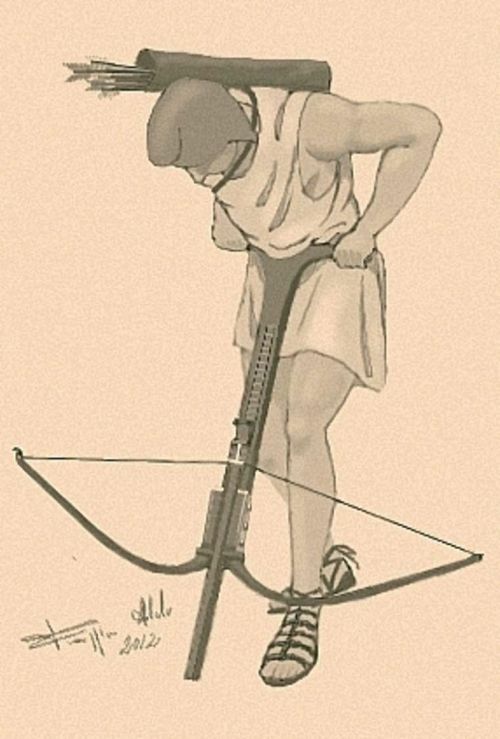 While we talked about a repeating crossbow in the form of the Chu-Ko-Nu, the Greek-made Polybolos was easily the most complex repeating artillery system of the ancient world. 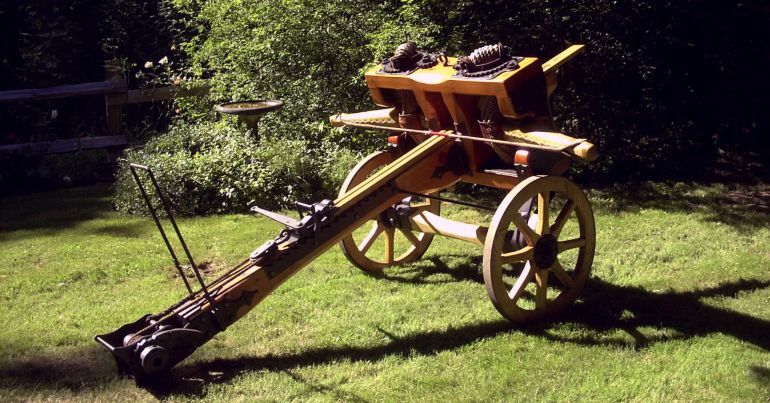 Supposedly invented by Dionysius of Alexandria, a 3rd-century BC Greek engineer who worked at the arsenal of Rhodes, the mechanism was akin to a catapult that could boast of a ‘machine gun’ like setup. To that end, its description as given by Philo of Byzantium in late 3rd century BC, entailed an array of inverted gears that powered its chain-link drive. This advanced installation (which by the way is also the oldest known application of such a mechanism) was used for both the cocking (placement of bolts after bolts into a fixed slot) and their firing sequence. 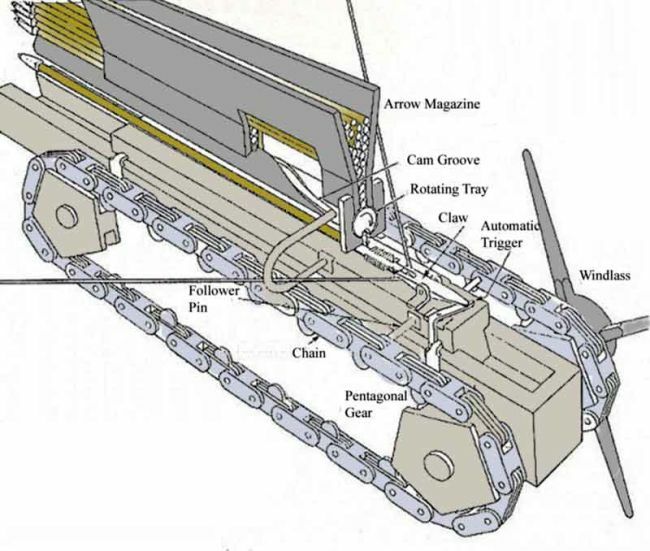 This flat-link chain in turn was connected to a windlass that was worked on by the soldier (in both counter-clockwise and clockwise manner) to lock, load and fire in a repeating fashion. To that end, the repetitive ambit itself was achieved with the help of a wooden magazine designed over the ‘mensa’ (the box that houses the bolt before its firing) that could easily store over a dozen bolts. In fact, this very repetitive attribute of the weapon system gave its name Polybolos, which roughly translates to “throwing many missiles”. And if interested, you can also take a gander at other Greek and later Roman artillery pieces that may been inspired by the use of such torsion-based mechanisms. 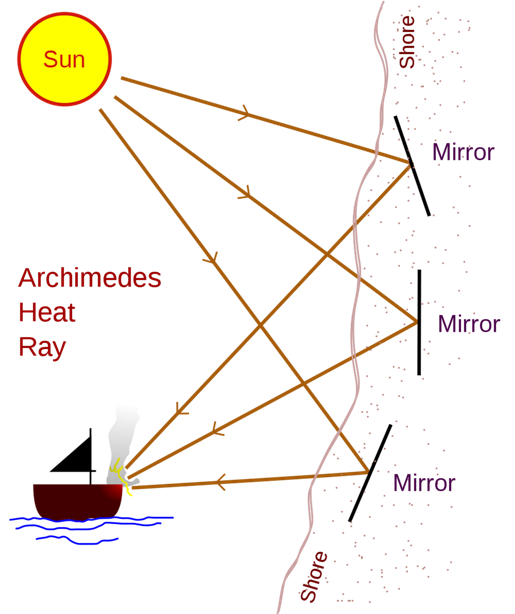 While the name definitely hints at a common Steampunk/science-fiction trope, Archimedes’ Death Ray contraption has been the subject of innumerable historical debates that have either tried to prove or disprove its existence or at least effectiveness. 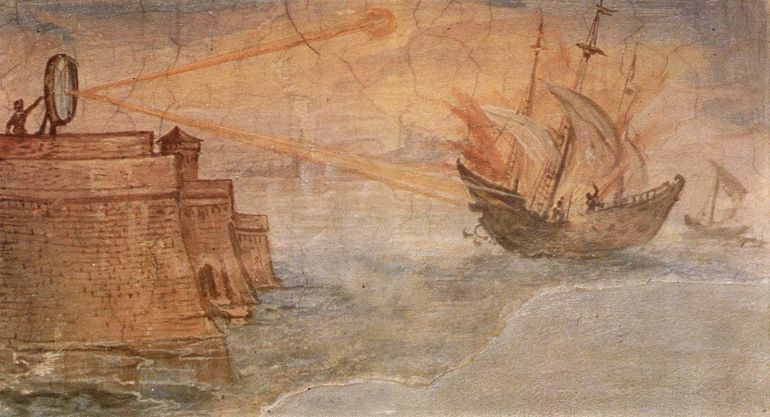 In any case, the use of the so-called Death Ray mechanism was first mentioned by the historian Galens, 350 years after the Roman siege of Archimedes’ home-city of Syracuse (which in took place in 214 BC). 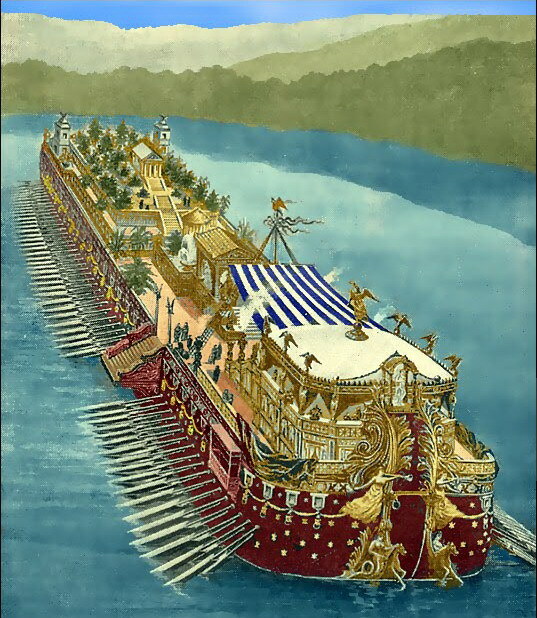 Designed by the great Archimedes himself, the weapon setup possibly entailed a series of mirrors that collectively reflected concentrated sunlight onto the Roman ships. As a result, the concentrated form of light affected an increase in temperature, thus ultimately leading to the burning of the ships from afar (take a look at a modern ‘death ray‘ that aptly proves this phenomenon). Now when it comes to credibility, Discovery’s Mythbusters already took two digs at the technology, and sort of disproved its potential. On the other hand, MIT conducted their tests in 2005 (by using mirrors in parabolic arrangement and a replica of a Roman ship), and they were actually able to set the ship on fire. However, in their case, the ship was stationery – which would have been impractical in a real-time scenario with the undulating waves and the ongoing naval maneuvering. But even this predicament was solved, when a Greek scientist named Dr. Ioannis Sakkas was actually able to set a moving ship on fire from a distance of 160 feet (49 m). He did it by distributing a total of seventy mirrors (each having 15 sq ft area) among seventy (or sixty) men, and the concentrated beam reflected from these individual pieces was able to set a rowboat aflame, thus possibly lending credence to Archimedes’ Death Ray weapon.